Today’s modern backup solutions, such as NAKIVO Backup & Replication, offer powerful backup and replication features for the enterprise datacenter environment. When we think about how far we have come with backup technologies and compare them with the legacy backup solutions of days past, we see the tremendous advantages of using a "native" VM backup solution over a "legacy" VM backup solution. What are legacy VM backup solutions and what do they do when it comes to backing up virtual machines? What are native backup solutions in this regard? 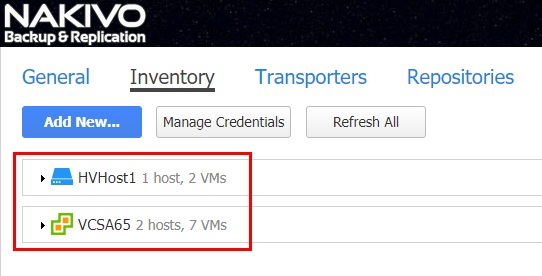 How do these two compare and why do we want to use a native VM backup solution? Legacy VM backup solutions are essentially the same backup solutions that have been used on physical workloads for years and then moved over to virtual machines. The same technology, tools, and methodologies are used with virtual machines as with physical machines. Typically, we may think about a “backup agent” being installed inside the guest operating system for the backup solution to be able to back up virtual machines. If the legacy solution is able to utilize (even in a crude way) the VMware data protection APIs, they generally still need some sort of agent to be able to perform application-aware backups or granular file restores. Most administrators who have managed guest operating system agents, either with a backup solution or other technology, can attest to headache that results. The administrative overhead that is presented with maintaining agents, installations, upgrades, etc., can be a nightmare. Legacy VM backup solutions that utilize agents introduce another moving part to the backup solution that essentially increases complexity and room for something to go wrong with a VM backup process completing successfully. Additionally, when we consider other advanced features that are required with modern VM backup solutions when it comes to backing up and restoring virtual machines, we think about replication, application-level restores, instant recovery, and other features that are just not possible with legacy VM backup solutions. Native VM backup solutions integrate seamlessly with a virtual infrastructure, are agentless, and take advantage of the powerful built-in API driven interaction provided by today’s virtual infrastructure in addition to many other benefits. In view of challenges with legacy VM backup solutions mentioned above, let’s take a look at the features of NAKIVO Backup & Replication as an example of native VM backup solutions and find out how the product excels legacy VM backup solutions in key areas. First and foremost, NAKIVO Backup & Replication creates “image-based” backups meaning they contain not only the files on disk, but also everything needed to recreate the virtual machine in the event something catastrophic happened. The image-based backup includes all the nuances of the virtual machine that we would expect to be able to recover from, such as the virtual machine settings. The native VM backup approach does not require installing agents within the operating system. NAKIVO Backup & Replication integrates seamlessly with your virtual infrastructure and interacts with it without having additional software installed within the guest operating system. NAKIVO Backup & Replication integrates with the powerful VADP API driven interface for VMware vSphere and Windows APIs for Hyper-V server. Even without guest operating system agents, NAKIVO Backup & Replication is able to do all the important tasks that one would expect with a modern backup solution including application-aware backups with log truncation, instant file recovery, instant VM recovery (Flash VM Boot), and instant object recovery for Microsoft Exchange, Microsoft SQL, and Microsoft Active Directory. Below we can see the ease with which we can start backing up virtual machine resources with NAKIVO Backup & Replication. We simply add our VMware, EC2, or Hyper-V infrastructure to the inventory and are ready to start setting up backup and replication jobs! Again, no agent is required and we can add multiple environments with different technologies to the inventory. With many of the legacy VM backup products, the only thing you get is a backup. You either have to provide your own replication solution, or pay extra for additional licensing that is required to unlock replication features. 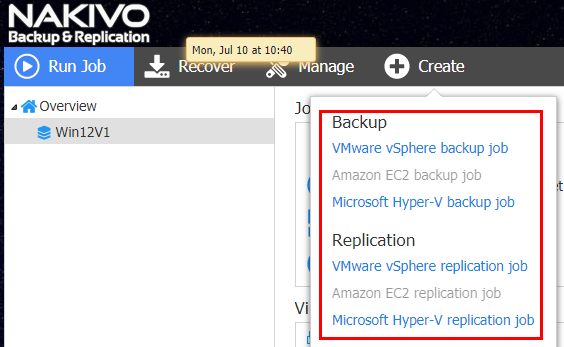 With native VM backup solutions, such as NAKIVO Backup & Replication, the replication features work out of the box for VMware, AWS EC2, and Hyper-V.
LAN-free Data Transfer – This mode is automatically used by NAKIVO Backup & Replication for VMware and Hyper-V backups and replication to achieve the best performance by implementing Hot Add and Direct SAN Access features. Hot Add – if NAKIVO Backup & Replication is running on a server with direct access to the VM datastores, it can bypass the host TCP/IP stack, which achieves two benefits: prevents impacting production VM performance and increases the backup performance of VMs using the storage I/O stack only instead of both storage and network I/O stacks. Direct SAN Access – VM data is read directly from a SAN device using either Fiber Chanel or iSCSI. 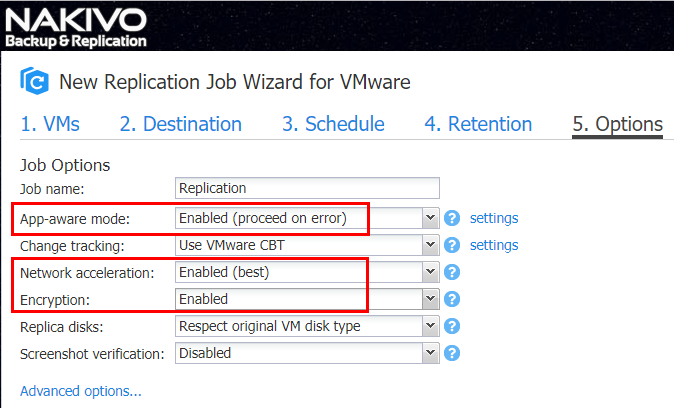 Network Acceleration – This feature reduces the load on the production network caused by backup and replication jobs. Performance of backups, replication, and recovery can be increased by as much as 2X. Full Synthetic Storage – NAKIVO Backup & Replication utilizes full synthetic data storage which allows it to perform only one full backup and after this initial transfer, all jobs will be forever- incremental. The full synthetic mode eliminates the need for backup transformation. This means there is no need to transform those increments into full VM backups as other VM backup solutions do. The benefits of eliminating this process in time, resources, and additional storage are significant. Below we can see a new replication job utilizing many of the native features of NAKIVO Backup & Replication, including App-aware mode, Network Acceleration, and Encryption. NAKIVO Backup and Replication also provides a great multi-tenancy feature set for both Backup-as-a-Service and Disaster-Recovery-as-a-Service. This can be used either intra-organizationally between business units to delegate the performance of virtual infrastructure backups/replication, or by service providers who provide BaaS and DRaaS to customers. This functionality is far outside the realm of what a legacy VM backup is able to do out of the box. API integration is all the rage in today’s world of automated operations. Being able to control, automate, and orchestrate VM backup, replication, and recovery tasks is a key component of automating daily IT operations. This allows NAKIVO Backup and Replication to integrate with monitoring, automation, and orchestration solutions, which effectively reduces data protection costs. The ability to utilize API integration with a legacy VM backup solution is simply out of the question and further emphasizes the disparity between legacy and native VM backup solutions. Legacy VM backup solutions were engineered before cloud integration became an important business consideration. It would be a stretch to find legacy backup solutions that integrate tightly with public cloud solutions. A native modern backup solution like NAKIVO Backup & Replication is fully cloud aware. 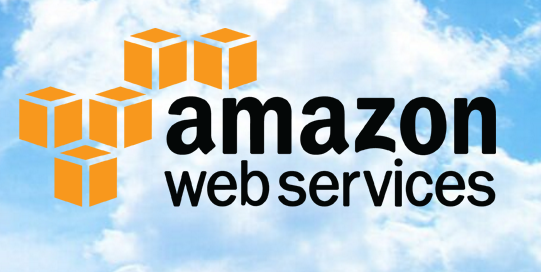 It integrates tightly with Amazon AWS public cloud allowing EC2 appliances to be configured from the Amazon AWS marketplace to backup Amazon EC2 instances. This allows organizations to take advantage of the same great feature set in the cloud as on premises, including application-aware backups, backup deduplication, backup copy, network acceleration, instant granular recovery, etc. Additionally, Microsoft Azure storage can be targeted with NAKIVO’s backups or backup copy jobs. NAKIVO Backup & Replication allows seamless integration between on-premise and public cloud backup infrastructure resources allowing organizations to take advantage of today’s hybrid cloud infrastructures. In today’s world of virtual infrastructure whether it be VMware vSphere, Microsoft Azure, or Amazon AWS, legacy VM backup solutions simply do not offer the features and functionality that organizations need in today’s hybrid cloud environments. In addition to the lack of features, the administrative overhead that legacy VM backup solutions add to the mix with backup agents and other outdated methodologies prevent organizations from operating backup infrastructures effectively and efficiently. Modern native backup solutions, such as NAKIVO Backup & Replication, provide the feature set that allows organizations to be agile, automated, and cloud-ready.